Hon. Silvio Schembri was born on the 16th May 1985. He graduated with Honours and a Master in Economics at the University of Malta where he is today a visiting lecturer in economics and finance. 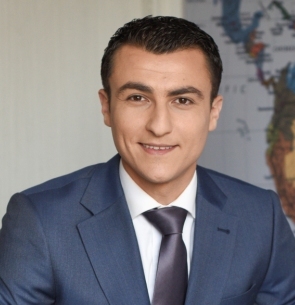 Silvio Schembri was elected to Parliament in 2013 and was re-elected in 2017 on two districts obtaining the highest number of votes on district 6. His political career started way back at College where he was also active in the social democratic student organisation Pulse. At the age of 18 he contested the Local Council elections of his hometown, Luqa where he was elected alongside his father John who has since occupied the post of town mayor. During the 2013-2017 labour government Hon. Schembri was appointed by the Prime Minister to serve as the Chairperson for the Economic and Financial Affairs Parliamentary Committee, entrusted to lead critical discussions on the financial development of the Maltese economy. Hon. Schembri was also appointed to Chair the Responsible Gaming Foundation with the remit of promoting responsible gaming in Malta. Prior to becoming a Member of Parliament, Hon. Schembri worked as an EU Fund Manager with the GAL Xlokk Foundation, advising private and public institutions including local councils within the southeastern Maltese territory, to access EU funding for capital and social projects aimed at helping further economic and cultural development. Through his efforts, Hon. Schembri contributed significantly for various projects designed to improve the social and environmental dimensions of various localities to be implemented. His sterling work within several communities served as a stepping stone for Silvio to secure his place within the Maltese Parliament in 2013. Hon. Silvio Schembri is married to Deandra, nee Scerri, who is a lawyer by profession and they have two children, Zak and Faith.